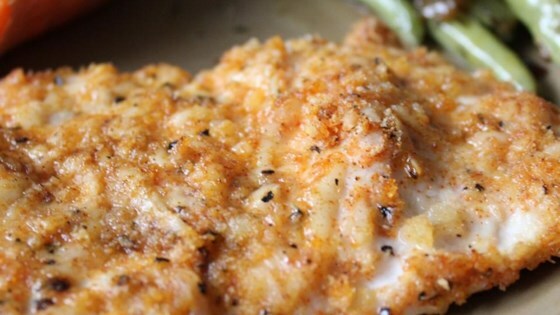 "This easy recipe takes chicken breasts breaded with a Parmesan and paprika coating is baked until golden and crispy. This unique combination of ingredients makes a fantastic dish that all your family will love." This tasted good, and smelled wonderful. I decreased cooking time to 50 minutes for very thick chicken breasts, so really keep an eye on the cooking time. Thanks for the recipe! Very good! No need to bake it for more than 40 minutes though. Thank you! !